Social media is a wonderful thing. And it can work incredibly well for business. But it’s a crowded marketplace so it’s important to stand out. And that’s where video teasers come in. These are short – up to 15 second- impactful video clips designed to raise awareness of a brand or event or to boost sales of a specific product or service. We recently produced a series of teasers for Bromley FC who made the journey to Wembley for the FA Trophy final last Sunday. The aim was to give them something powerful to use on social media to drive ticket sales towards their goal of 20,000. We produced nine short teasers using existing footage of the team that we set to an exhilarating music track and enhanced with simple captions. Have a look at the ‘one day to go’ clip here. 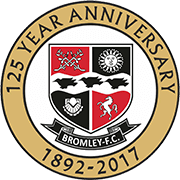 Jerry Dolke, Chairman of Bromley FC, said: “ We loved the videos, they really grabbed people’s attention and helped get the message across on our social media platforms”. This approach can work well for many types of business, and prices start from just £250 for a five-clip campaign. You may have an idea for the look, feel and sound or you can leave it to us to come up with something in keeping with your brand identity. At Blueberry we can work our video magic from your existing video clips and still photography or, if you have nothing suitable, we can even conjure something up using animated text. Blueberry Pictures puts your ideas into motion. With 20 years’ experience in creating video content across TV, cinema, in-store and online. For international brands, local businesses and everything in between. If you’d like to discuss video teasers, or any other video project, then please do get in touch. Blueberry Pictures puts your ideas into motion. With 20 years’ experience in creating video -based content, ranging from TV, and cinema through to in-store and online we feel we can meet your needs, no matter how big or small.